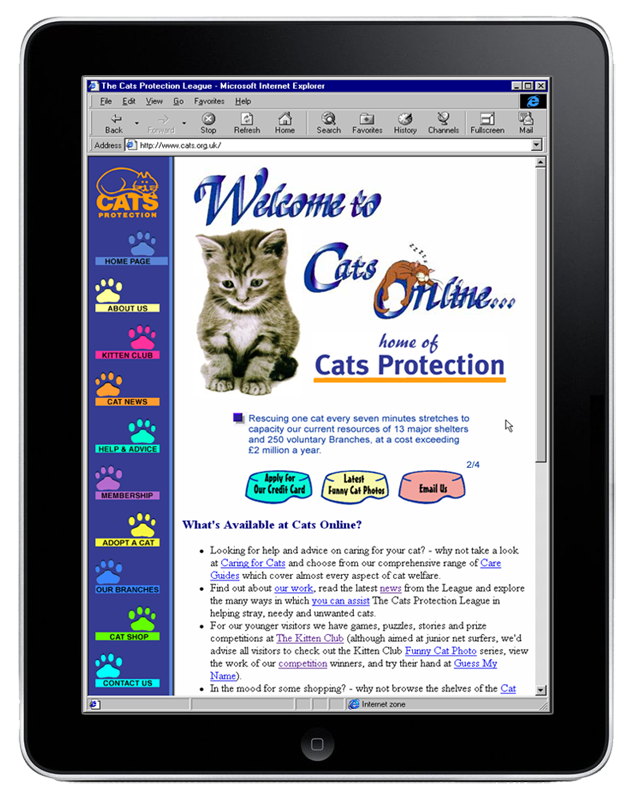 Established in 1927, Cats Protection is the UK’s leading feline welfare charity. Last year they helped over 205,000 cats and kittens through their national network of over 250 volunteer-run branches and 31 adoption centres. InForm were brought in to launch this leading UK welfare charity on the web. The pre-design stage was extensive involving Marketing Strategy, Branding and User Experience Design (UX) exercises with all departments at the head office in Horsham. 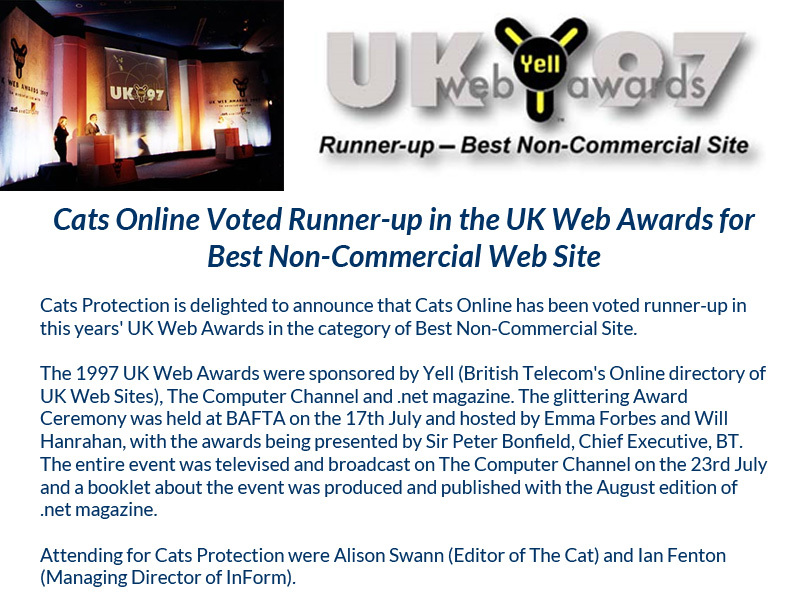 ‘Cats Online’ was the result and it immediately received worldwide recognition for the quality of the site, winning a phenomenal number of awards but most importantly, achieving its aim of raising the profile of Cats Protection. 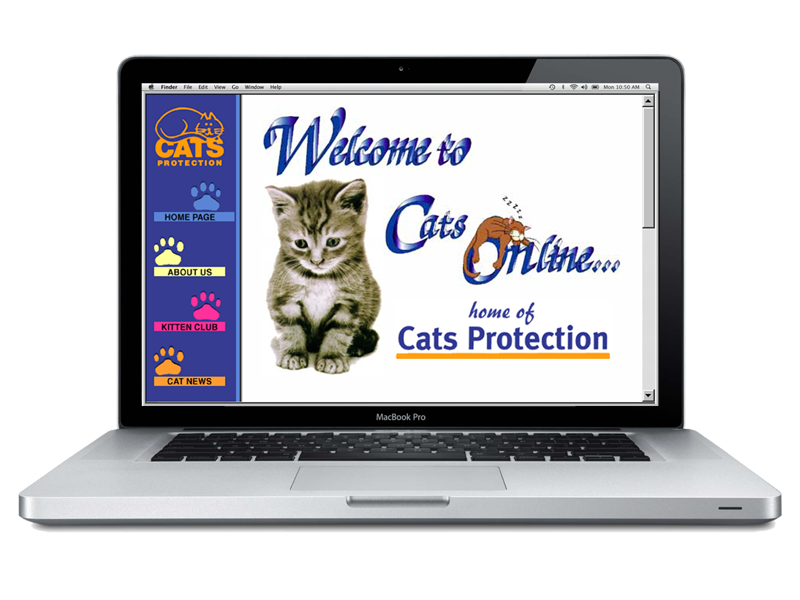 We are delighted with Cats Online. The recent awards are a testimony to the quality of work produced by InForm. We are especially pleased with the level of service and commitment provided, and as a charity, the value for money those services represent. 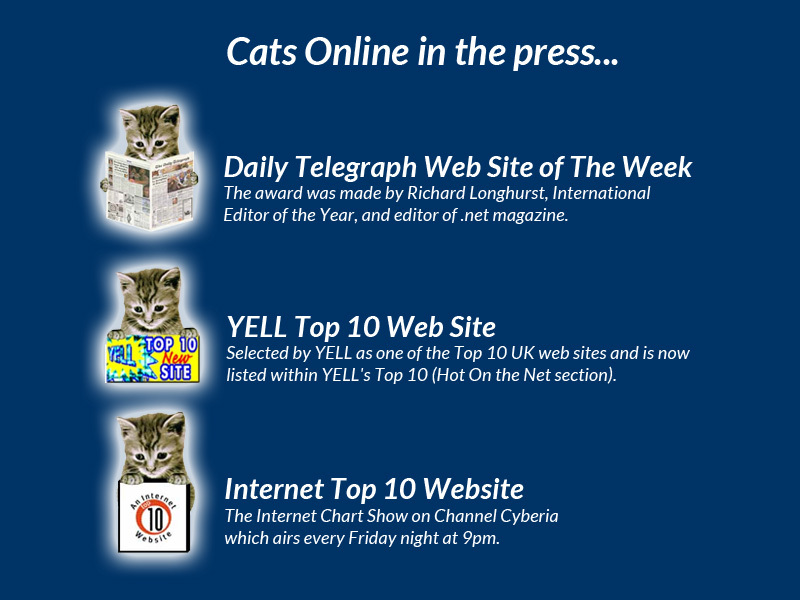 There is no doubt that Cats Online has been an outstanding success with an incredible number of visits to the site from around the world. It has excited considerable attention and has done much to help raise our profile. The site has had a phenomenal number of awards which reflects tremendous credit on the efforts of InForm.